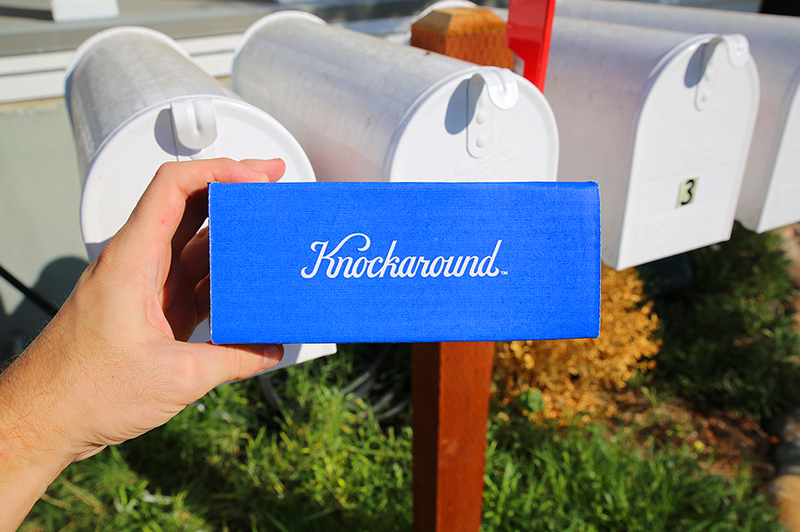 Knockaround has no physical retail location and produces a tremendous amount of sales through its online outlet. 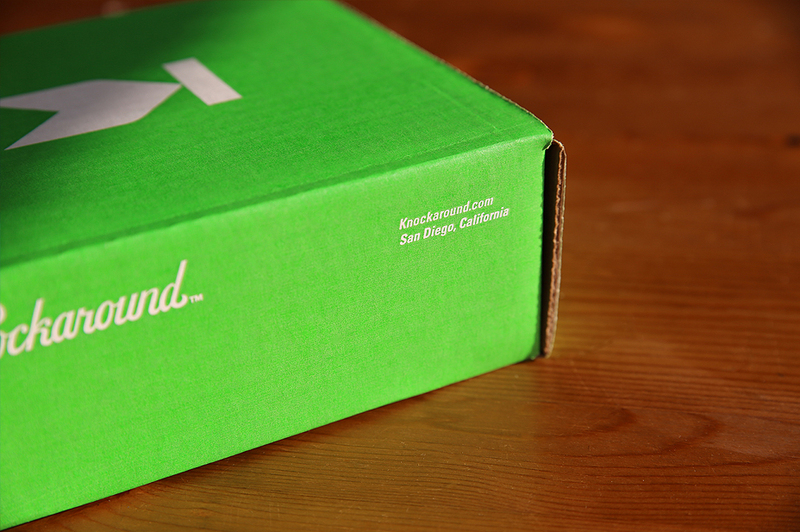 This means a customers’ first physical experience with Knockaround starts with the package their glasses are shipped in. We absolutely understand the power of a box sitting at your front door, the Christmas-like joy it brings, and we understand how that experience is enhanced with good branding. Weather it’s the branded packing tape that Amazon is known for, the whimsical designs of Mod-cloth, or the appropriately humorous designs of Chubbies, the extra touch adds a new level of excitement for the customer, and consideration from the company. We wanted to create this level of experience for Knockaround. For Amazon, branded packing tape makes sense. With the sheer variety of their packaging sizes it wouldn’t be financially wise to print a design on every variety of box. Knockaround, on the other hand, deals mostly with sunglasses and after 8 years of operation they had a pretty good feel of what people were ordering. 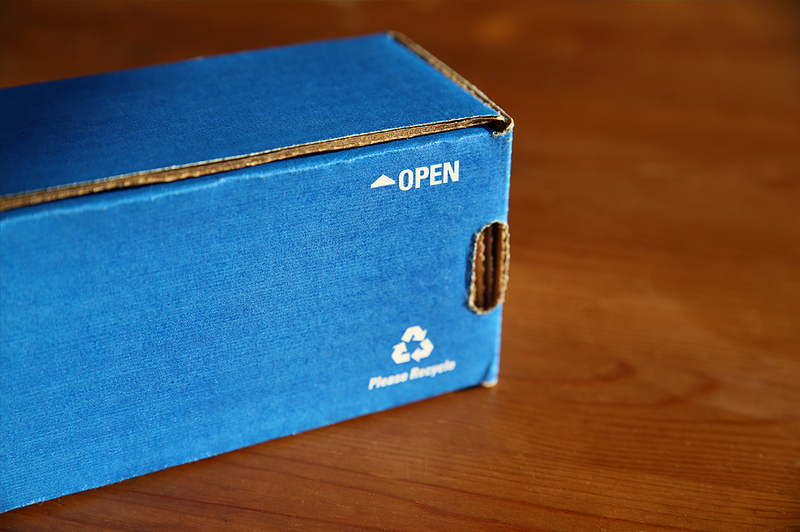 We were able to use that information to develop 2 custom sized boxes to cover a majority of their orders. We worked with the different types and sizes of sunglasses, along with any possible extras (stickers, edition cards, etc. ), to develop a 6 5/8″x6 5/8″x2 5/8″ box that would fit 1–2 pairs of glasses, and a 6 5/8″x2 3/4″x2 3/4″ box to fit 3–6 pairs. 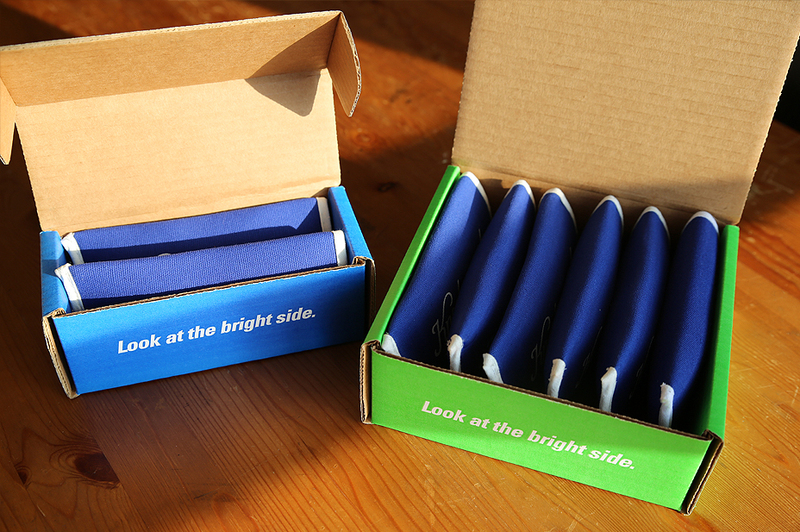 For the design of the boxes we wanted to keep the cost of production low, but also make a branded statement. We decided to go bold by using a full, single-color flood of the bright brand colors, sky blue for the smaller box and neon green for the larger. 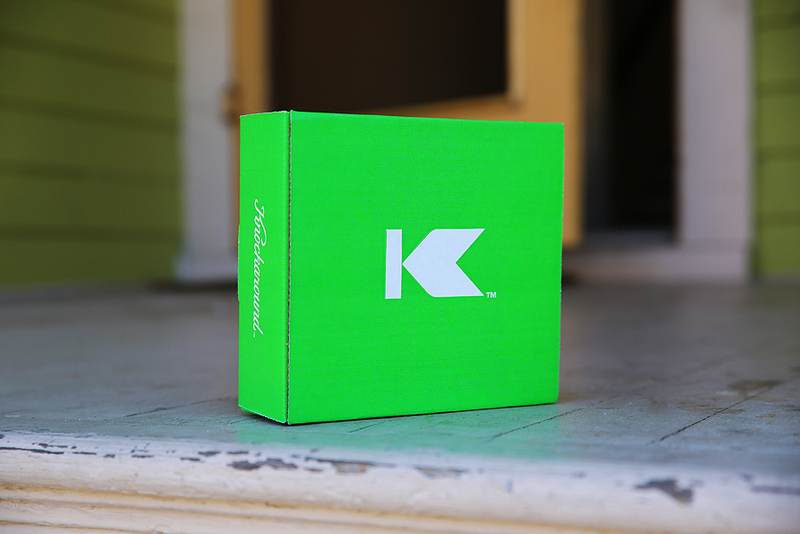 We kept the rest of the design simple and clear, showcasing the newly developed script and logo we had just completed for Knockaround. Nothing more than a website, location, recycling icon, and open indicator, all small and unassuming, rounded out the rest of the box. That is, until you open the box. 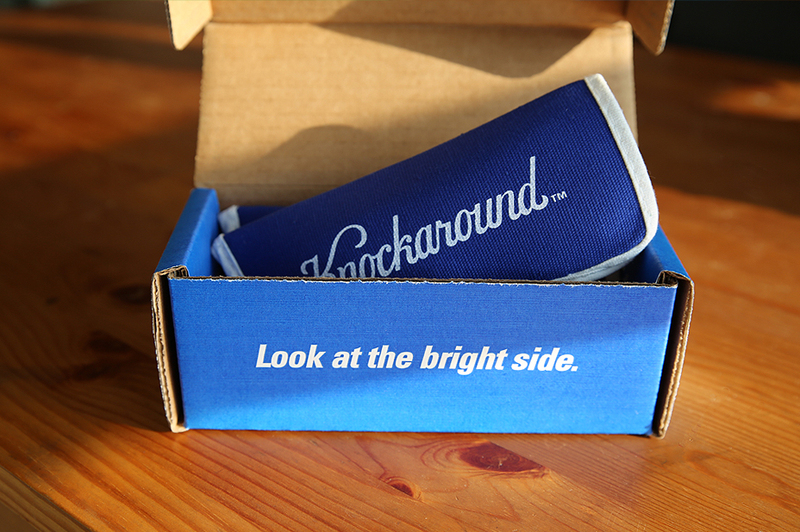 As you cut the label and lift open the flap of the box you are greeted by a message, “Look at the bright side.” It’s a subtle surprise but completely indicative of Knockaround’s optimistic outlook, paired perfectly to their product. So, how has the response been to the design? There is no greater test of packaging and product than the infamous “unboxing” video.